Throne Records presents the third album from Spain’s EL ALTAR DEL HOLOCAUSTO (eng. Altar of holocaust). A giant step forward for the instrumental Doom Post Metal brotherhood of hidden Templars. This holy work is entirely inspired and dedicated to the image of the “Holy Spirit”. Its creation and composition took place between the months of February and December 2018 in the locations of Salamanca, Madrid and Brussels. → THRONE COLLECTOR’S EDITION: Metallic GOLD splattered with Black. Production is already on course. 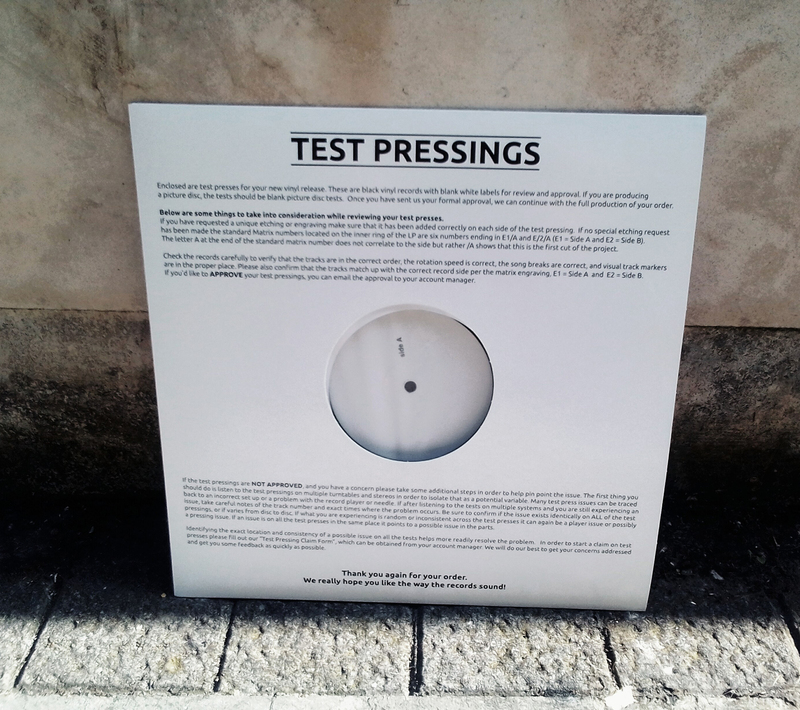 Test-pressings have been approved. Expected to be out and shipping by early May 2019. → SWIRL EDITION: Mustard / Black side A / Side B effect. → EADH SPECIAL EDITION: Crystal Clear vinyl splattered with Gold + White. This edition is exclusive for El Altar Del Holocausto. ← MACHETAZO – “Sinfonías del Terror Ciego” VINYL LP PRE-ORDER LAUNCHED TODAY!